KMC Onstage is USAG Rheinland-Pfalz’s own community theater, located in Kaiserslautern. The program provides a wide variety of theatrical entertainment for youth, families, and adults. 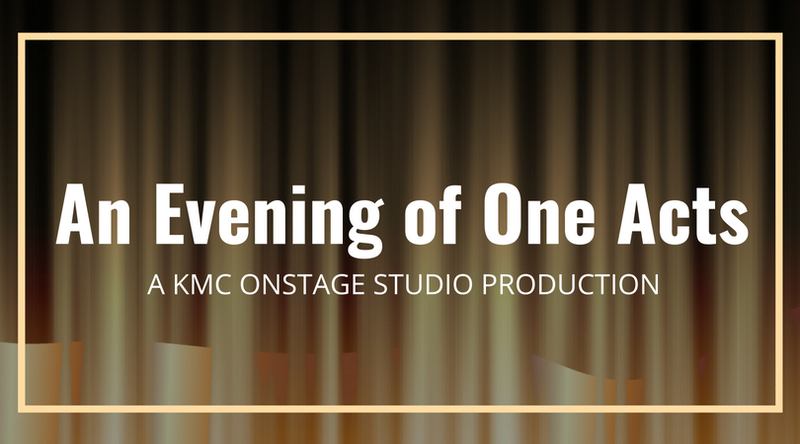 Enjoy our first production of the 2018-2019 season, the studio show “An Evening of One Acts.” Our one act shows consistently compete for (and win!) awards for being among the best studio performances in all of Army Europe. September 7,8, 14, 15 at 7 p.m.
September 9 and 16 at 3 p.m.
All performances will be held in the Kaiserslautern Community Activity Center (KCAC) on Daenner Kaserne, Bldg. 3109. Two brothers and their wives keep watch at their dead brother’s casket. Nostalgia and memories, however, soon lead to some unpleasant and embarrassing revelations—and worse! It’s a family story—what can you expect? Alexander the Great arrives at a new city—ready to conquer—and runs into some uncooperative potential subjects. How much land does a person need anyway? Seriously! Two Spanish water dogs reflect on life, love, humans, and butterflies. Violet tries to talk some sense into Hattie, who has obviously lost her marbles. Hattie has sold her house, moved into a shack, and is spending her time collecting and painting old hubcaps. When a regular customer enters her home, followed by Death, a psychic bends her opening hours and breaks a promise to her daughter. But what advice can she offer her worried friend whose time is almost up? Some people excel in high pressure situations. Others, not so much. What happens when a tightly wound individual becomes so focused on the task at hand that he misses all the clues? A comedic spin on one of the most basic elements of spy craft exploring a common foible of human nature.